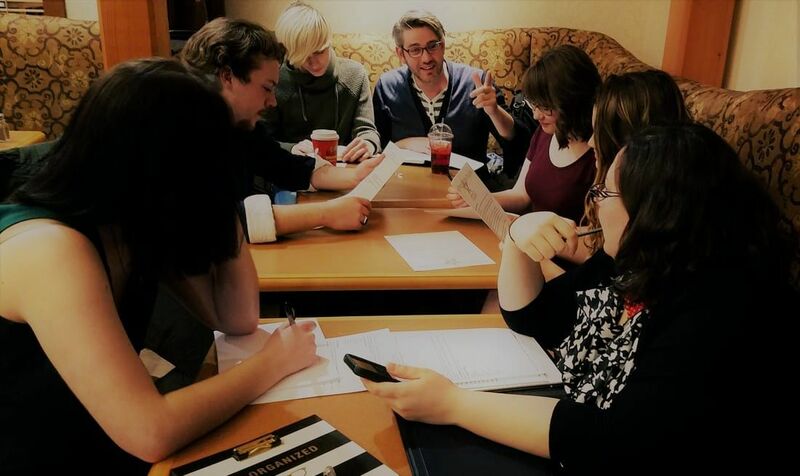 The Student Theatre Apprentice Recognition Program (STAR) provides hands-on experience, mentored by industry professionals, in a variety of theatre disciplines. STAR opportunities allow high school and college students to learn theatre industry skills such as performance, direction, design, management, and arts education. Using performing arts, STAR leads its members through creativity and responsibility, encourages teamwork, and builds confidence. STAR Apprentices receive a unique education and are provided strong and consistent mentorship by industry professionals as they learn necessary skills for enriched lives and theater career opportunities. Members develop an appreciation for live theatre promoting positive values through art. Members may take advantage of a progressive learning experience that can potentially lead to paid positions. The majority of students start as Act One Apprentices, but the exact placement of each individual will be determined through the application and interview process based on experience and ability. STAR Apprentice members can apply for an entire season or on a show-to-show assignment. Responsibilities include attending rehearsals, completing assignments, and attending and working all performances. Work under an industry professional with constant instruction and supervision. Learn all steps from concept to execution with real-life production results of their work. The Act One Apprentice members pay no cast fee and receive no monetary stipend. They receive full program credit and are entered to win a scholarship for higher education. Work under an industry professional with constant instruction and supervision, continuing to develop a personal mentor relationship.Work directly with a professional, shadowing them in an active position. Responsibility increases as skills and techniques are refined, challenged with the goal of reaching the highest professional standards possible. The Act Two Apprentice members pay no cast fee and receive no monetary stipend. They receive full program credit and are entered to win a scholarship for higher education.